"Don't Hope For a Miracle. 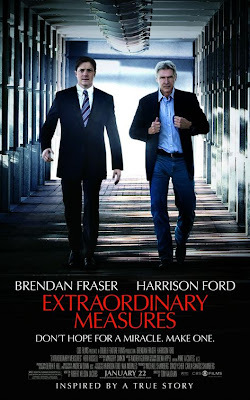 Make One," is the tagline of CBS films’ upcoming release Extraordinary Measures, starring Brendan Fraser and Harrison Ford. It is inspired by the story of John Crowley, a father who defied conventional wisdom and great odds, and risked his family's future to pursue a cure for his children's life- threatening disease. To celebrate Crowley’s story, they've created a wonderful opportunity to get the word about a cause that is close to you, and also possibly win some money for them! It’s so easy, all you have to do is upload an inspirational video. · Once your video is uploaded, you will be entered into the sweepstakes for a chance to designate the charity of your choice to receive $10,000. 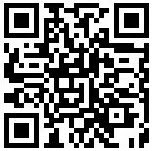 · Tell your friends to vote to increase your chances of winning. Some fantastic videos have been uploaded to the Inspirational Quilt and are already in the running for the $10,000 donation- including the story of Alexandra "Alex" Scott, a young cancer patient who, facing a grim diagnosis, insisted on setting up a lemonade stand to raise money for childhood cancer before succumbing to the disease at age eight. Her stand evolved into a national lemonade stand initiative and foundation which has since raised over $25 million for the cause. * NO PURCHASE NECESSARY TO ENTER OR WIN. Participants must be legal residents of 1 of the 50 US states or D.C., at least 18 years old or age of majority in state of residence or older at date of entry. Entries accepted until January 26, 2010. Void where prohibited by law. For complete details see <Official Rules>. I shared this news on my site too! Spread the word!